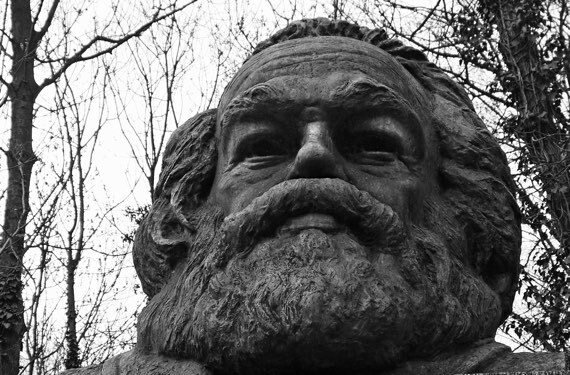 Karl Marx at Highgate Cemetery. 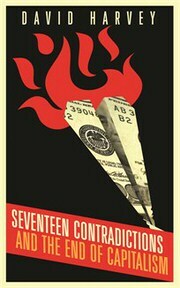 Book review: Seventeen Contradictions and the End of Capitalism, by David Harvey. When I mentioned to people that I was reading a compelling Marxist take on the crisis in capitalism, I was not greeted with the warm curiosity that normally follows the mention of an interesting new book. In fact, most people looked at me as if I had ventured beyond the pale. Stalinism has much to answer for: not least, the blight it has put on open-minded critique of the conditions that prevail in liberal democratic capitalism. I find this puzzling. Like many, I was sheep-dipped in Marxist analysis at university. Though I flirted with radical left wing politics as a student, having grown up with Czech heritage, I was all too aware of the failures and tyranny of life under what was termed “actually existing Communism”. Long before the European revolutions of 1989, I made my peace with the market economy. But I have retained a lifelong appreciation of the value of critique. Seventeen Contradictions and the End of Capitalism by David Harvey exemplifies the insight that Marxist critique can still generate. A geographer by background, Harvey appropriates Marxist thinking and makes it his own, bringing a freshness that cuts through the common sense that our marketised, financialised society is the natural order of things. As the title implies, the book makes play of the Marxist concept of contradiction. Put simply, this holds that every solution that a system finds to a destabilising problem creates the dynamic towards a new destabilising problem. For example, the dismantling in the 1980s of the trade union power which had been instrumental in creating a sclerotic and unmanageable economy enabled a period of lower labour costs, dynamic growth and wealth creation. But in concentrating the gains of wealth on an increasingly narrow section of society, this development entrenched inequalities so deep that business undermined its own markets because people became less able to afford its products. This creates what Harvey calls a problem of the realisation of capital. Capitalism’s defenders justify it on the basis that it is the best way to create maximum welfare for the largest number of people. The setbacks since the financial crash have dented that argument, particularly in the Western world. But it remains the case that capitalist development over recent decades has brought about reductions in inequality between nations, with countless millions lifted out of poverty in Asia, Latin America and parts of Africa. Harvey however worries about dangerous contradictions in capitalism that endanger human life. He doesn’t mean on the margins, he means systemically. As I’ve observed before, change is in the air. Harvey’s is one of the most cogent and radical accounts of why things can’t continue as they are. Seventeen Contradictions and the End of Capitalism by David Harvey. Available from Amazon.